Hi guys! What's up? This post will be short 'cause I'm tired. Let's go! 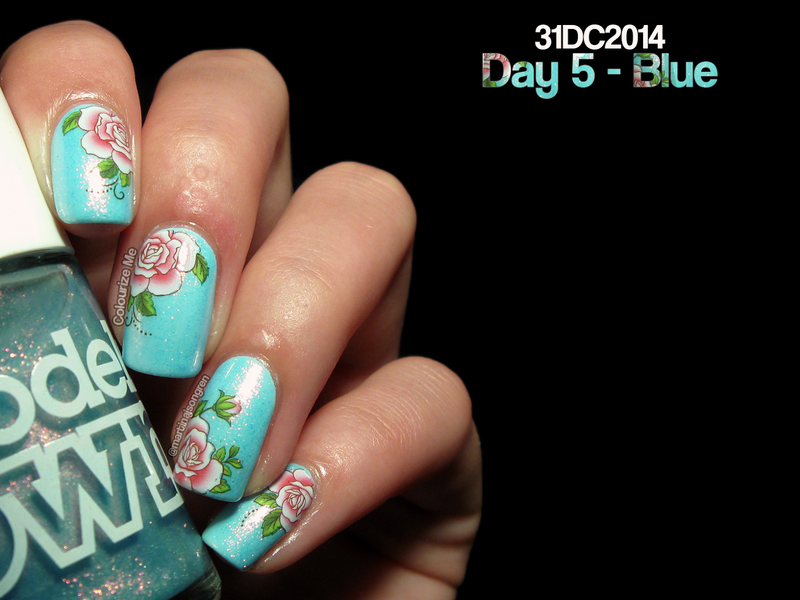 Day 5 means blue and it's monday, so that means GREAT TIMING, it's blue Monday at Tove (Nail Me, click click). Take a look! So, for these nails I started with painting two coats of Alana Renee It's A Boy which I actually won in Toves pregnancy giveaway. It's a beautiful light blue with specks of shimmer in it. They kind of drown a bit in the base though. Then I put on one generous coat of Models Own Indian Ocean and OH MY GOD, that is stunning. 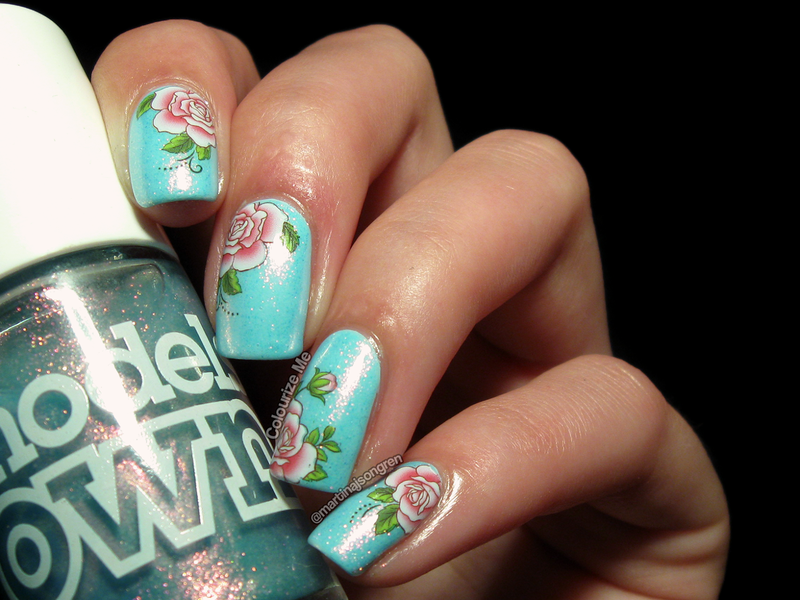 It's a sheer blue based polish with duochrome shimmer that shifts from pale golden yellowish to pink. It's really pretty. 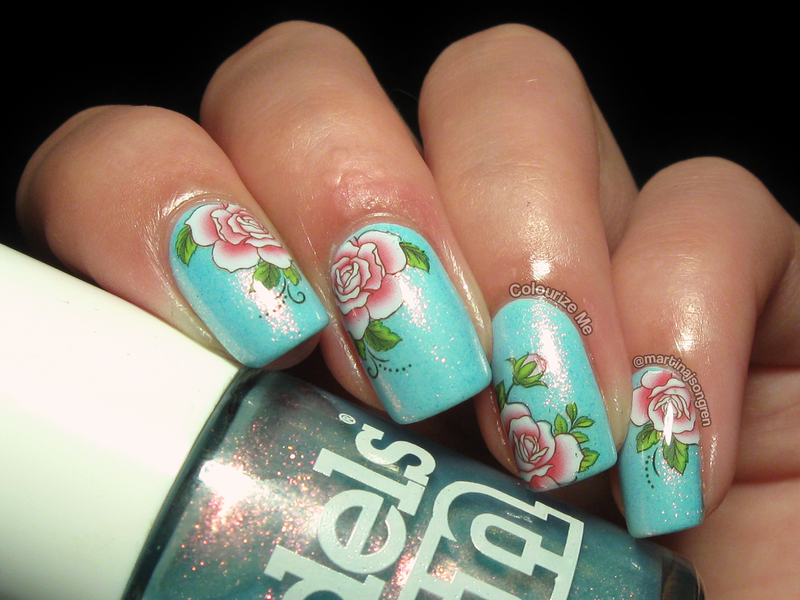 Then I used my water decal roses that Andrea (Tasty Tips, click click!) gave me for my birthday last year. Can't believe that I've had these in my drawer for almost a year. I love this look. Really. 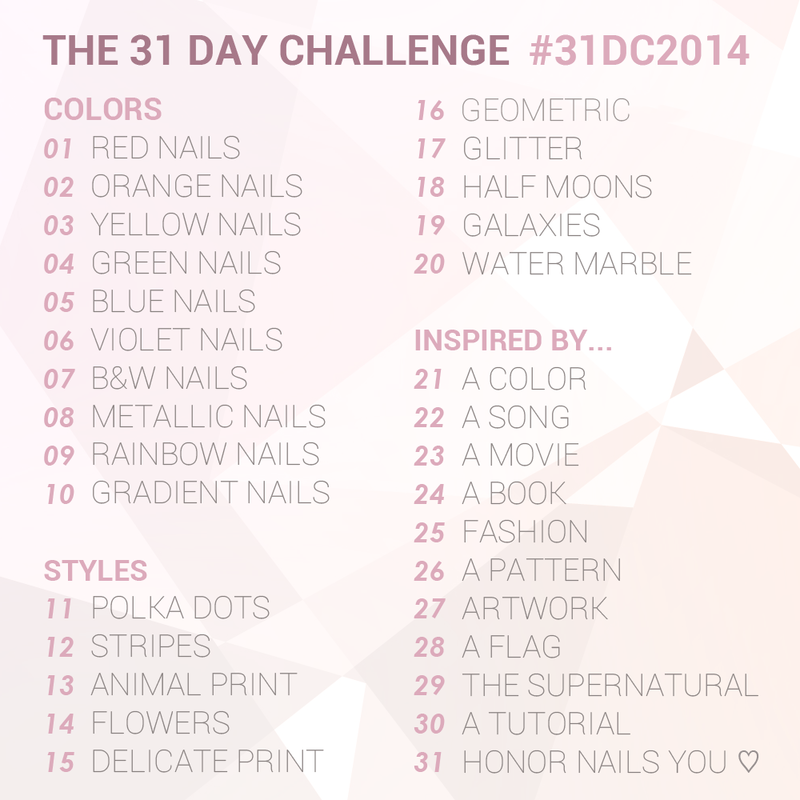 Check out day 5 from last years challenge, click click!